← Victor Segno: How to Live 100 Years – Don’t Boil Water! 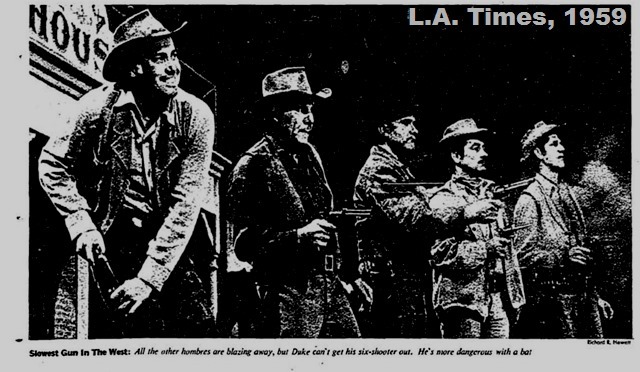 Jan. 11, 1959: Keith Thursby looks at the fledgling acting career of Duke Snider. If it worked for Chuck Connors…. The entire piece appeared on latimes.com in 2009 and is available at Archive.org.. 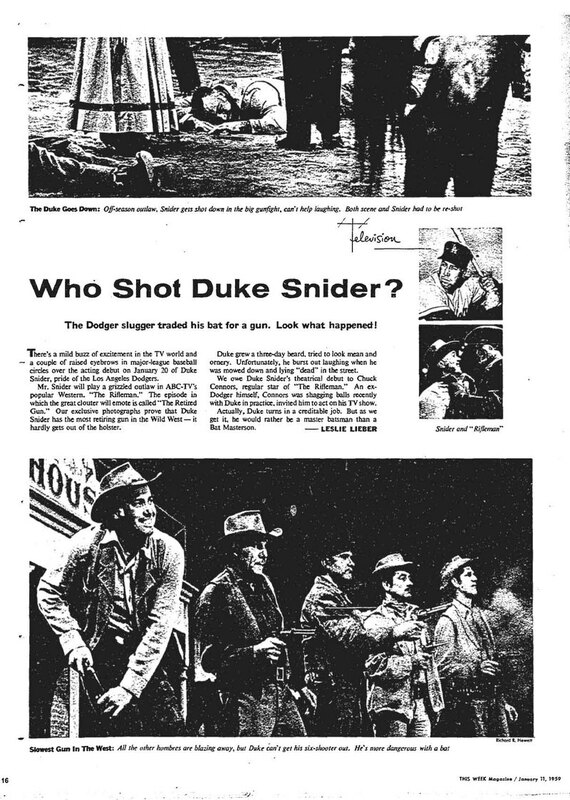 This entry was posted in 1959, Baseball, Keith Thursby, Television and tagged 1959, Duke Snider, Keith Thursby, Television. Bookmark the permalink.